Personalized Panoramic Sugar Eggs are our specialty! We create one- of-a-kind eggs customized just for you. Browse around, check out our Photo Galleries for examples, and drop us a line once you decide what type of Sugar Eggs you love the most. Every Sugar Egg is unique, and utmost attention is given to detail. Sugar Eggs make perfect Easter gifts, basket stuffers, or even table centerpieces for Easter. They come in an assortment of sizes and styles-each one crafted completely by hand. If you are looking for an unforgettable gift, or to begin (or perpetuate) a family tradition, you have come to the right place. 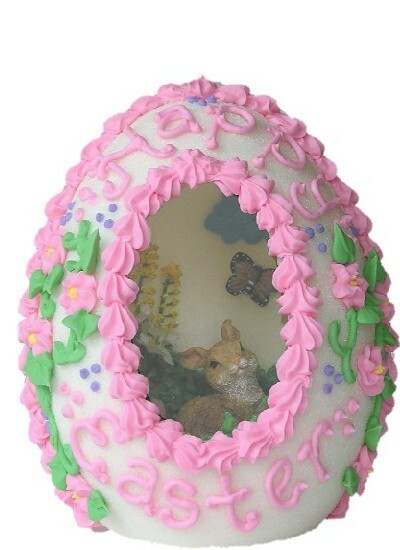 The fine art of creating handmade Sugar Eggs is a craft that dates back to Victorian times. 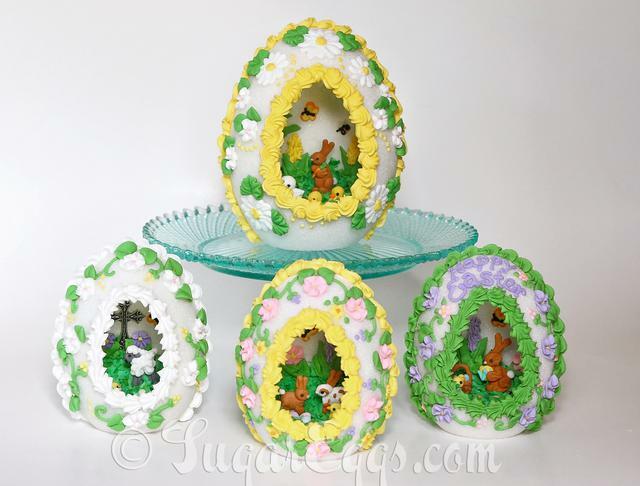 Also known as Sugared Eggs or Panoramic Eggs, they are a decorative confection that is as fascinating as it is beautiful. Everyone loves the magic of viewing the intricate scene inside! We create all icing decorations on site, painstakingly by hand. Most youngsters have a hard time resisting the sweet sugar shell; older children and adults alike treasure viewing and displaying these delightful creations.